Choose your preferred amount of euros. Buy your gift voucher here for a Cinema Culinair show of your choice. You can choose a flexible amount of euros. This gift voucher will be sent to you in a gift pack. We automatically add €3,50 for the gift pack at the check-out. 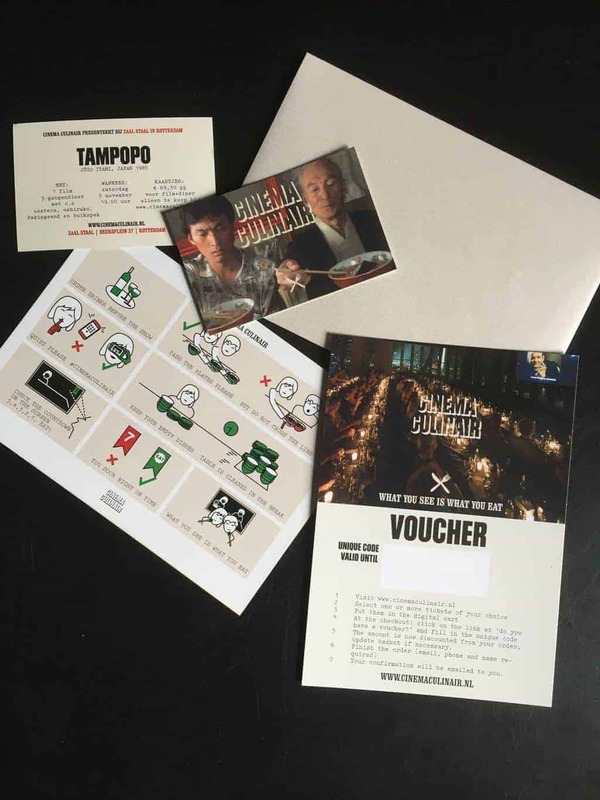 The voucher contains a unique code that can be redeemed exclusively at our webshop. To redeem, simply order a ticket, fill in the unique code and the amount of the gift voucher is discounted from the order. The gift voucher can be used up to two years after the purchase. We will send the ordered gift voucher per post in a beautiful gift pack. You can add information and give or send the pack as a present. The pack fits through the mailbox and will be delivered within 2 or 3 days). This gift voucher + gift pack will be sent to the given address. It can be used for every show of Cinema Culinair.